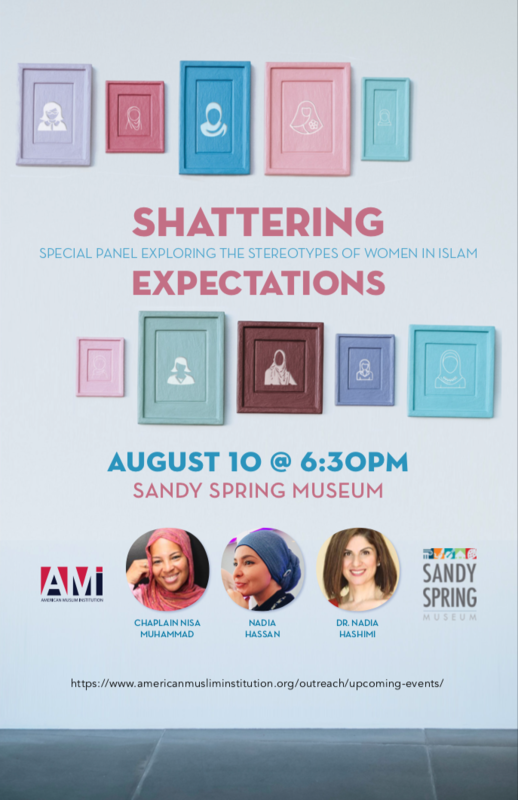 AMI teamed up with the Sandy Spring Museum to bring dismantle common stereotypes about Muslim Women. The audience enjoyed the personal narratives of Dr. Nadia Hashimi, Nadia Hassan and Chaplain Nisa, so much so that the largest complaint we faced there was that there was not enough time. Thanks to all our great speakers and our partner, Sandy Spring Museum.